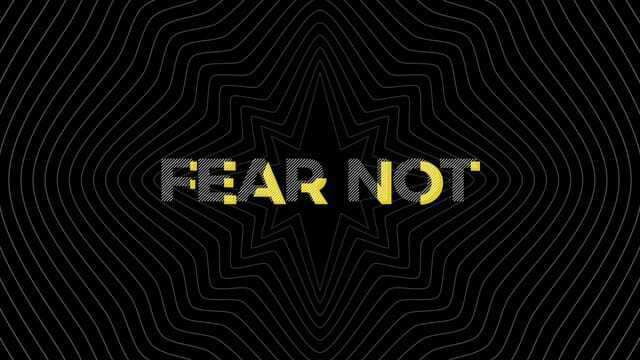 Fear Not is a one-weekend special message about living your life freely, and not being afraid of situations, things, feelings, outcomes, or what's ahead. Join us at 11am! You're invited to join us for a special acoustic worship set and a special message this Sunday, December 30th! We will be offering only one service at 11am. There will be NO 9am or 5pm services, and Ridge Kids programming will not be available. Children of all ages are welcome to join their families for the service. https://www.theridge.church/familyminpreview/ Sunday, January 6th–Are you interested in getting involved &amp; investing in the next generation? Attend the Family Ministry Preview on January 6th during the 11am service, take a look at the Sunday morning environments, and find your best fit! Ridge Students is kicking off the new year! Middle school students will meet on Sunday, January 6th in The Loft during the 9am and 11am services. High school students will meet on Sunday, January 13th at 4:30pm. Sunday evenings are a new gathering time for high school students, and we're looking forward to this exciting change! We'll have awesome giveaways, and a lot of fun! Myth: Godly people don't struggle with fear. Truth: Everyone struggles with fear. You’re not scared of the dark. You’re scared of what’s in it. You’re not afraid of heights. You’re afraid of falling. You’re not afraid of the people around you. You’re just afraid of rejection. You’re not afraid to love. You’re just afraid of not being loved back. You’re not afraid to let go. You’re just afraid to accept the reality that someone you love is gone. You’re not afraid to try again. You’re just afraid of getting hurt for the same reason. Pray this prayer: God, help my desires to be in line with your desires. Help me trust in your ways, give up my idea of what life should be like, and let you be God of my life.